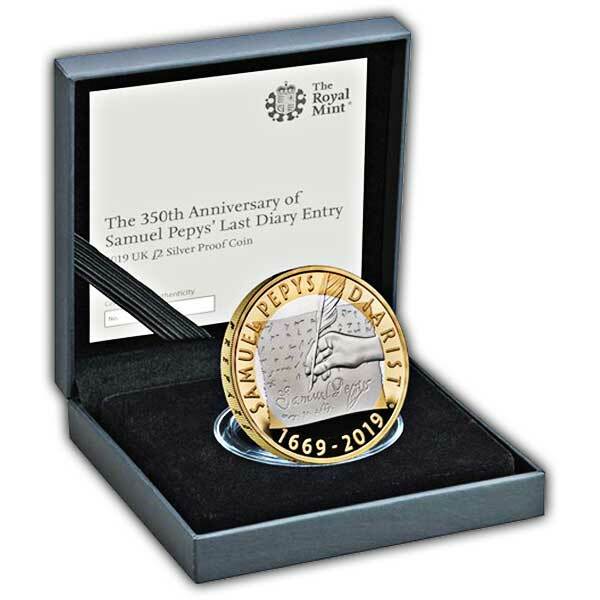 Samuel Pepys began his diary in 1660 and ended up covering nearly a decade of change in Britain. His eyewitness accounts of great events like the coronation of Charles II and the horrors of the Great Fire of London and the Great Plague appear alongside day-to-day episodes such as arguments with his wife, visits to the tailor and days out. His detailed impression of events and people are so vivid because he intended them to be private and for his enjoyment only. Pepys brought his diary to a close on 31 May 1669, fearing he was losing his sight. 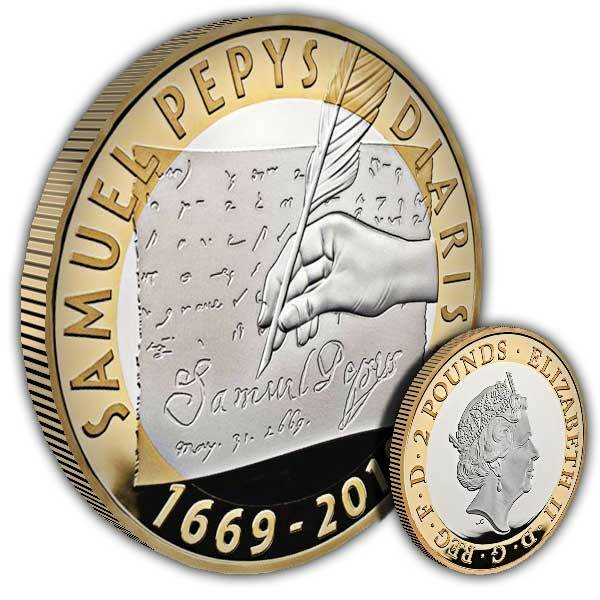 Now, 350 years after the last diary entry, you can celebrate this moment with a £2 coin struck in silver.